The passing of Frankie Walsh at the end of 2012 was greeted with shock and sadness by hurling people throughout Waterford and beyond. 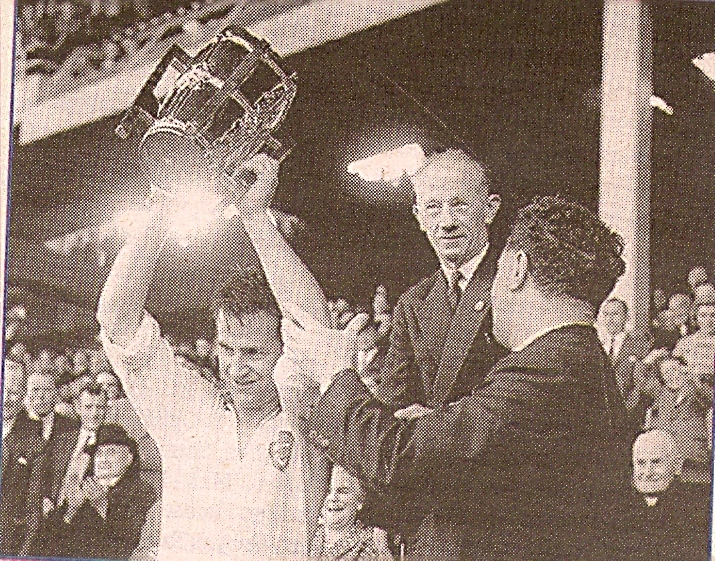 Waterford’s All Ireland winning captain of 1959 had been struck down suddenly and unexpectedly one week before Christmas and had lain in a coma up to the time of his passing. There were numerous tributes paid to Frankie following his untimely death and here I would just like to outline my own memories of a man who was exceptional in many ways and who made an impression on all who knew him. Frankie Walsh was a man whose great heart was out of proportion to his slight physical frame. A man of a generous, caring disposition, loyal and courageous, all traits that stood to him in life and that made him the hurler that he was. 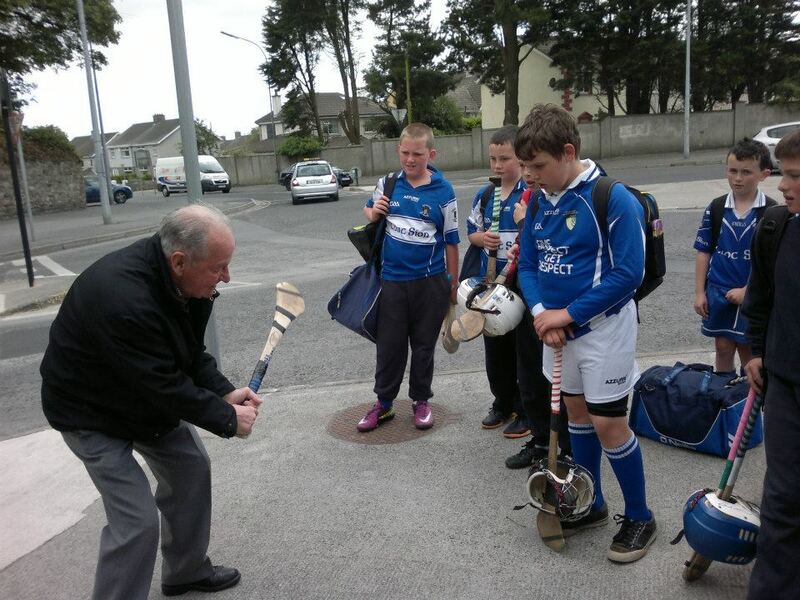 Frankie learned his hurling on the streets of Waterford as did so many of his colleagues of ’59 at a time when Walsh Park was probably the only hurling pitch in the city. 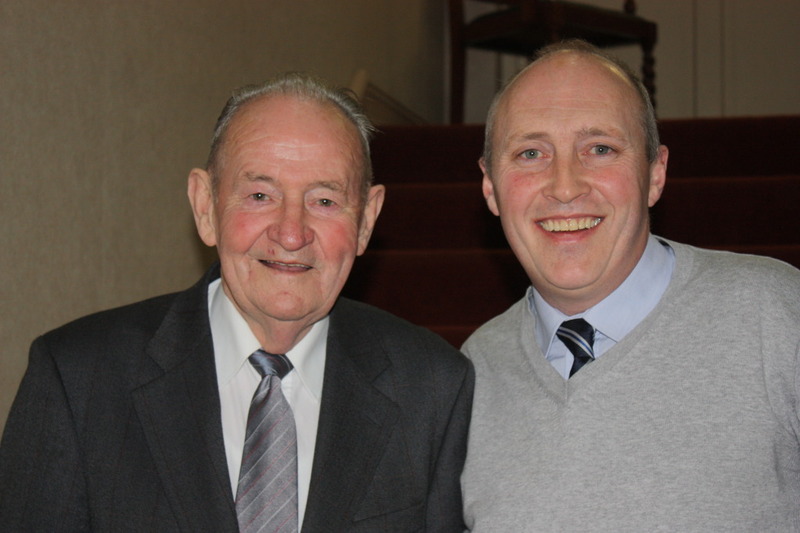 Like all of the city lads of his time he played ball on the roads and was as skilful with a football as he was with a hurley and ball, skills put to good use as he helped his club to three senior football titles as well as thirteen hurling titles. Those who watched him develop at the time were always adamant that he could easily have made as great an impact as a soccer player as he later did as a hurler. The fifties was a time when choices had to be made and Mount Sion and Waterford will forever be grateful that Frankie Walsh chose the road that he did. 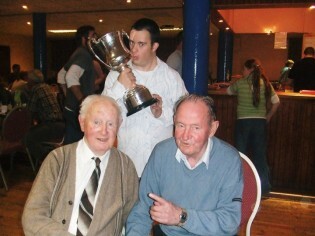 Frankie nurtured his hurling skills in the city juvenile league, that great nursery at the time that produced so many great players, playing under the late Denny Douglas for Gracedieu, and my first memory of him was as a nine year old cheering on Frankie, Martin Og Morrissey and our school heroes in Thurles as they brought the Harty cup to Mount Sion, and to Waterford, for the first time. Three years on I had my first really close encounter with Frankie. Waterford were drawn against Cork in the first round of the Munster championship and Cork had selected Fermoy as a home venue instead of the Athletic Grounds. Waterford were forming the nucleus of the side that went on to glory between ’57 and ’63 and were set to put it up to a Cork side that was bent on regaining the Munster title they had lost in ’55. Waterford trailed at half time and Frankie, not yet twenty, was sent on for the second half. He immediately made an impact and as a result was soon taken out of the game by a vicious blow down on top of his head. Waterford went on to lose the game but the greatest concern was for the young man whose injury was considered at he time almost life threatening. 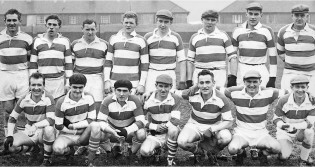 My father, who was a selector and county chairman at the time had bundled me into the team car going home from the match and, it being a time when medical attention was not what it is now at games, the car left Fermoy with a bloodied and very concussed player for hospital in Waterford where Frankie was diagnosed with a fractured skull as well as receiving numerous stitches to repair the wound. It was an experience that might have turned a young head from the game but not so Frankie Walsh. By October he was back in action for the drawn National League tie against All Ireland champions Wexford and went on with Mount Sion to win the Senior football and hurling double. His recovery from injury showed the courage and determination of the man, traits that were to play a major part in his selection as captain of his club in ’59 at the age of twenty two and as a result captain of Waterford and the man to play a major role in the All Ireland victory that year. His performances that year firmly established him as one of the great players of that era. I remember well it was the first year of the Caltex( later Texaco) sports award and the general consensus at the time was that Frankie Walsh would be the first recipient. In the event the judges saw fit to give the first award to the great Christy Ring who, earlier that year had won a record number of Railway Cup medals, totting up a huge personal score in the final. To be selected for Munster in those days was the equivalent of being selected an all star today and Waterford had many of those then. Frankie struck up a great friendship with Christy Ring through their time on Railway Cup teams together and there was an interesting story told by John Keane of a bit of banter with Christy after a railway cup final when John was slagging Ring a bit about his eight All Ireland medals and Christy replied ‘yes and I would have won more if i had that little fellow playing outside me to give me the ball’. That was Frankie Walsh. He went on to serve Waterford into the sixties that brought further Munster championship success as well as National League and Oireachteas honours and played inter county up to the Munster championship of 1970. He won his 13th county senior hurling medal in 1972. He played his last game for Mount Sion in the county junior hurling final of 1974 against Stradbally, bringing the curtain down on a great playing career to which he brought all that was part of every great player, skill, commitment, courage and probably above all, a great love of the game. Like every skilful forward Frankie got his share of hardship on the field but let no one think that he just grinned and bore it for he was no shrinking violet and was always prepared to give back as good as he got but with him everything ended on the field and there were no real grudges afterwards. Indeed when Frankie visited New York he happily struck up a friendship with the man who had knocked him out of the game in Fermoy, Pat Philpott, and looked him up each time he visited the Big Apple. 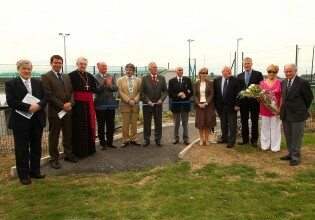 The end of his playing career did not end his involvement with Mount Sion and Waterford. 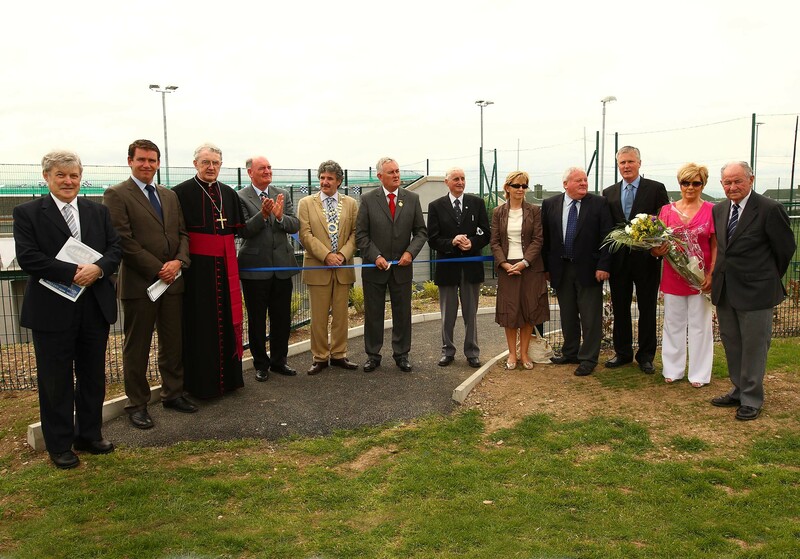 He went on to be involved as a county selector and trainer and was actively involved in the erection of the first Mount Sion Social Centre where his vision and talents as a tradesman proved invaluable. When the club suffered that terrible blow in 1981 with the tragic death of newly appointed team trainer Tony Forristal in that fatal crash near Piltown, that also claimed the young lives of Mount Sion’s Martin O’Grady and Butlerstown’s Jimmy Costelloe, Mount Sion had Frankie Walsh on hand to answer the call to take Tony’s place and he duly threw his all into the task delivering the county and Munster titles for his club and just losing out in the All Ireland final of ’82. He led the club to regain the county title in ’83 before deciding to make way the following year. Frankies interest in his club remained as strong as ever and he was always available to take on any job that needed to be done and to give the benefit of his experience as a hurler or as a gifted tradesman wherever it was needed. By the end of the nineties Waterford hurling had spent a long time in hurling’s wilderness broken only by the All Ireland success of the U – 21 team and the Munster title win of the Minor team in ’92. The revival of our senior fortunes towards the end of the nineties ironically brought Frankie Walsh to the attention of a new generation of Waterford supporters. 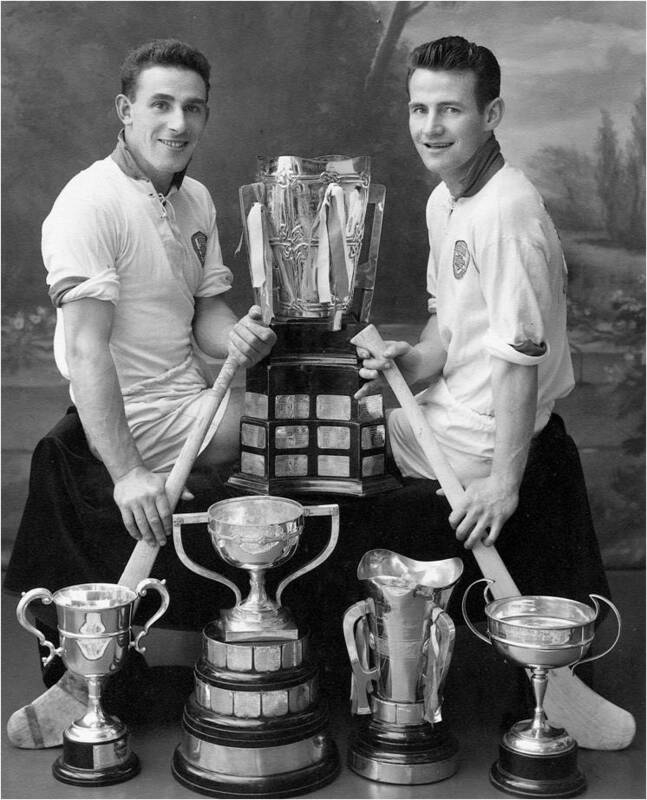 As Waterford strove to achieve success on the national stage there was more of an awareness of our hurling history and Frankie Walsh as the man who had led Waterford to All Ireland glory in 1959. Frankie decided that the time was right to mark the 40th anniversary of Waterford’s last All Ireland success and took it on to himself to organise a reunion of all the surviving players, and anyone involved at the time, in the Granville Hotel. With Frankie there were no half measures and he duly obtained sponsorship and the support of, at first, a reluctant county board for the event. With Michael O’ Muircheartaigh as M. C. it proved a magnificent occasion with all the surviving players honoured alongside family representatives of those deceased. When someone had the temerity to mention that a fiftieth year celebration might be more appropriate Frankie was quick to respond as to what good would that be to those who might pass on in another ten years and how right he was. The past ten years or so were very eventful in Frankies life and saw the death of his beloved Eileen five years ago after a long illness through which Frankie was always at her side. 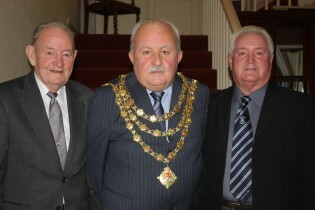 More recently again his popularity was as strong as ever as he attended many functions inside and outside the county to honour players of his generation and other times. 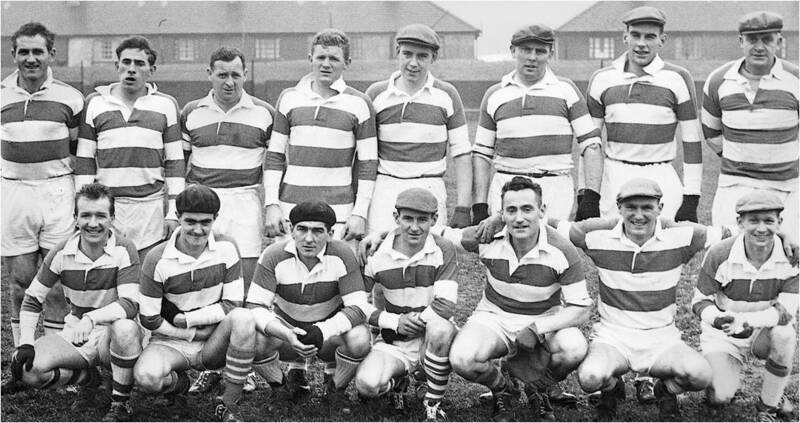 He particularly enjoyed his trips to New York which he spent with his friend Mike Prendergast and spoke glowingly of all the great GAA people he met, when invited, as a guest, to the celebrations in Valencia Co Kerry to celebrate Mick O’Connell’s captaincy of the Kerry All Ireland winning side of 1959. He featured on a full programme of TG4’s ‘Laochra Gael’ a living testimony to his career and his place in GAA folklore and something for his family to cherish. Frankie enjoyed nothing greater than the company of hurling people whether it was the juveniles in Mount Sion on a Saturday morning, where he was always ready to impart advice, or social evenings talking of hurling days past and present in Mount Sion or on his trips to Dungarvan, Tallow or Clonmel. When Frankie was struck down in such an unexpected way on the Tuesday before Christmas last year it was a shock to all who had been in his company in the days leading up to that day. He had been his usual self, in great form at the club raffles the previous Sunday and talking about events over the Christmas period. Two days after Christmas Frankie was to be in Carrick On Suir to receive a presentation at the revival of the Maurice Davin awards and we were talking about the day and previous such events in Carrick at which he, and other players, had been honoured. Needless to say he did not make it to Carrick and I was asked to collect his award as a ‘Waterford Player of the Past’ on his behalf. The concern of all there for Frankie’s health was overwhelming. His great friend Jimmy Doyle was very upset on hearing how serious Frankie’s illness was as was Pat Henderson and the many people from the different clubs, a testimony to the popularity and esteem in which he was held. When the word spread of Frankie’s illness that week the phone never stopped ringing with people from all over the country asking for him and praying for him. He had played his last game however, fought his last fight. On the last Friday of 2012 he moved on to reunite with Eileen and all the great friends and colleagues such as Philly Grimes, Tom Cheasty, John Barron, Ned Power, Mick Lacey, Johnny Kiely and Donal Whelan of that great side who had gone before him. 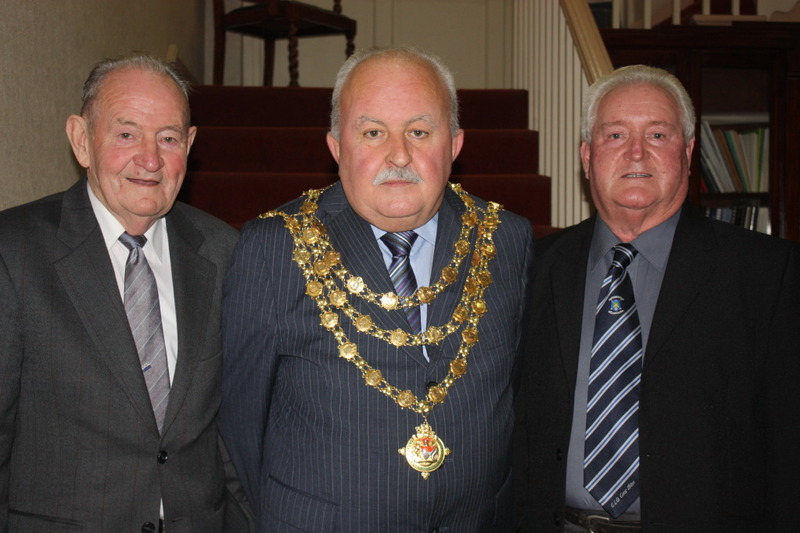 When Pat Fanning died just over two years ago Frankie Walsh was the unanimous choice to take over as life president of Cumann Cnoc Sion. It was an honour he did not take lightly and though his tenure was short it was memorable, as was everything about Frankie Walsh. A life well lived on and off the hurling field he will be remembered in Mount Sion with great affection up there with such as John Keane, Pat Fanning and others and thought of throughout the hurling world with respect and admiration. At his removal from the Brother Rice chapel in Mount Sion and again at his burial on New Year’s Eve in Ballygunner, hurling people came from far and wide to pay their respects as did many GAA officials, including the President of the Association Liam O’Neill, an indication of the esteem in which he was held by all who knew him. Colleagues he had played with down the years and opponents mingled and to see just two of the men who Frankie would have been very familiar with as direct opponents in the fifties and sixties, Seamus Cleere of Bennetsbridge and Kilkenny and Pat Fitzgerald of Midleton and Cork, present with many others, stirred memories of epic battles in the minds of those of us who were around in those times. On a personal note it was an honour and a privilege to have played with him and indeed, just to have known him. Ní bheidh muid a fheiceáil an maith air arís.